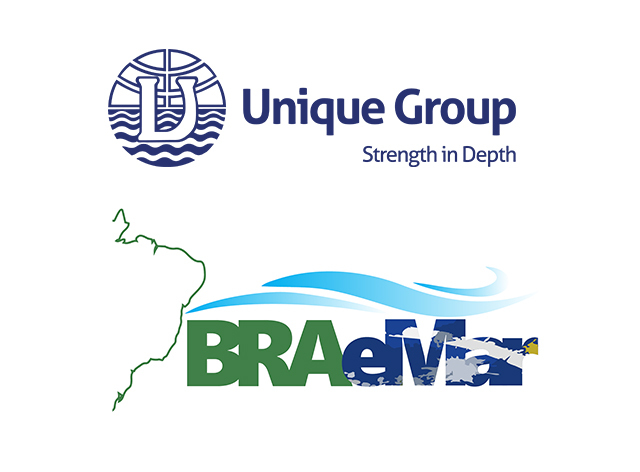 Unique Group, one of the world’s leading integrated subsea and offshore solutions providers, has recently announced a partnership with BRAeMar Serviços Portuários e Offshore Ltda., a prominent provider of knowledge and skill-based marine services. Based in Rio de Janeiro, the partnership will facilitate comprehensive support for the shipping, energy, and oil & gas markets in Brazil, and across Latin America. Founded in 1997 with a focus on environmental issues and the support of marine, oil & gas exploration and production, BRAeMar will be the sole representative agency for Unique Group in the region. Unique Group’s Survey Equipment, Diving & Life Support, and Buoyancy & Ballast divisions will predominantly service customers in this region through the newly established partnership with a focus on enhancing accessibility and visibility. The new operations will be managed by João Araujo, COO of BRAeMar. With more than 20 years in the Oil & Gas industry, holding executive positions with key players, João will lead the operations of BRAeMar in Brazil. Hilton Queiroz, Managing Partner of BRAeMar, said: “We’re pleased about this association with Unique Group, which operates across some of the fastest growing markets globally and has a vital understanding of the dynamics in those regions. With Latin America being projected as a major player in the energy industry over the next few years, our partnership will only help extend our product range considerably within the shipping and oil & gas industries, both locally and internationally.